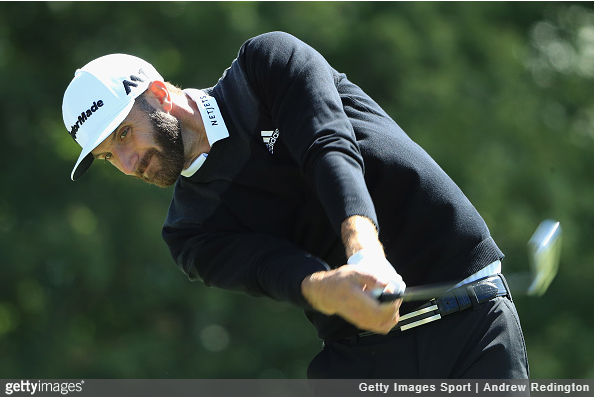 Norton, MA – The Dell Technologies Championship may have teed off on a Friday, but the extra day of rest did little to cool down the recently reinvigorated World No. 1 Dustin Johnson. The winner of last week’s The Northern Trust, the first round of the FedExCup playoffs, Johnson is already back on top after 18 holes at TPC Boston. 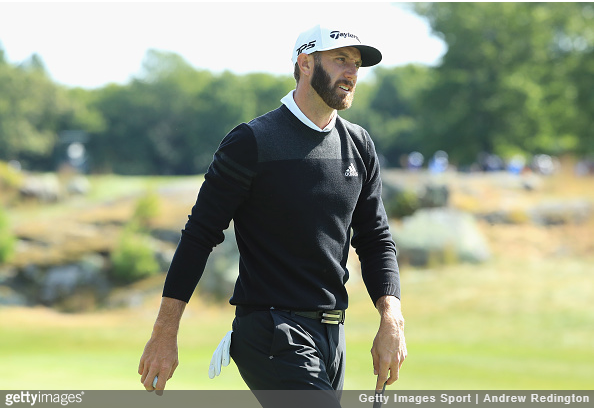 Johnson’s roller-coaster season reached another peak last week, when he made up five strokes in the final round before ousting Jordan Spieth in a playoff. As we’ve become accustomed, similar to Hideki Matsuyama, when DJ gets hot, he stays hot, and today was no exception. His 5-under 66 included an eagle on the par-5 18th, in addition to five other birdies. Afterwards, Johnson was asked if the tournaments blend together when he goes on runs like this. 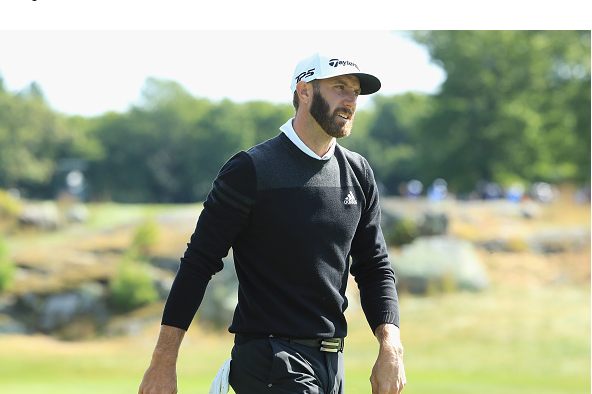 Despite the cold and windy conditions, the 33-year old Johnson had little trouble controlling his ball towards TPC Boston’s notoriously small greens – hitting 16 of 18 in regulation, the best number in the field. In his eighth appearance at the Dell Technologies Championship, Johnson’s 66 marked his lowest opening round at TPC Boston. DJ’s best result in Beantown is T4 (twice: 2009, 2012). 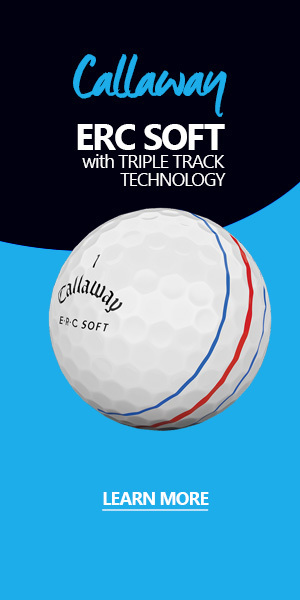 Last season he finished T8. At No. 1 in the FedExCup standings, Johnson is looking to return to East Lake as the top seed for the second consecutive season, and with a game that’s now clicking, the 16-time Tour winner’s confidence is at peak level. “After last week, obviously I’ve got a lot of confidence now. I feel like the things I’ve been working on, they are back to working. You know, I’m feeling good, so I think that’s a big key for me,” said Johnson, who is looking to join Vijay Singh (2008) as the only players to win The Northern Trust and the Dell Technologies Championship in the same season. Johnson’s FedExCup playoff record is unmatched. The South Carolina native is tied for the most wins, top 5s, and top 10s. Here’s a look at Johnson’s year-by-year results in the FedExCup. His 2008 rookie season aside, DJ has placed outside the top 15 just once (30th-2014). Tommy Gorman, from TPC Boston, contributed to this report.